One of the best aftershows! Love Bamm and Robin! 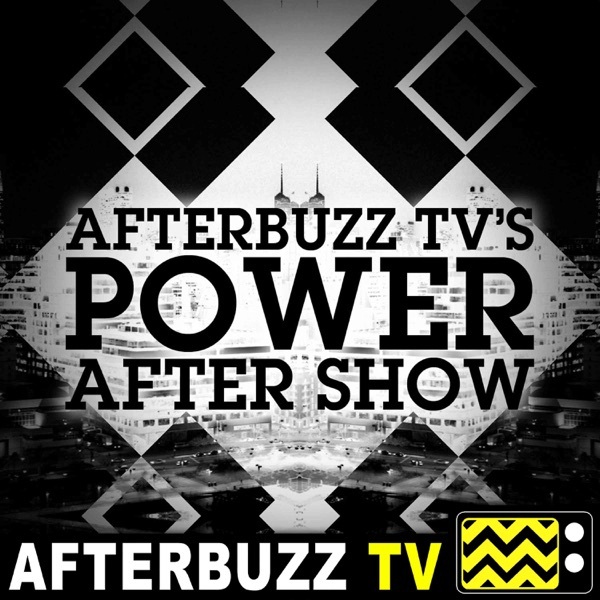 They have more special guests than any Afterbuzz show, actors, writers, and even show runner Courtney Kemp. They are very thorough with their recaps, have great chemistry, and all of their different perspectives and theories make for a great show. It's a good podcast for the show! It's a really good podcast you all do great, the only thing I find a bit annoying is in the middle of the episode they always plug stuff in! Please, just do it before, or after, and if it must be in the middle of the show at least give a heads up. It's annoying to be so into the conversation just to hear an unexpected plug about "visit us here" or "review here" "buy this"
Bamm is terrible. He can't keep the convo moving along. They never talk about the full episode because they ramble off on some unnecessary tangent usually started by bamm. He thinks everyone will die and his opinions are usually so wrong they're dumb. a heavy sigh and a 2 star deduction for Bamm. Glad you aren't a writer for this show. I love listening to the shows until you silence your panel by being overly opinionated, loud and wrong. He's gonna die. She gonna die. They're gonna die. Sigh. It's repetitive and I know you have more to offer. This is my favorite podcast! Keep up the good work! The hosts are all fun lively and bring a fresh perspective. They also get guests from the show and I LOVE that aspect!! Love this panel, how they work together, and their predictions. Truly enjoy the podcast. Its an entertaining way to gain perspective on a show that i love. The only change i would love to see, is a faster review done. Its almost torture waiting for the review to show up on podcast. Love the podcast. Love Bam. I love it when he saysSomeone has got to go (be killed off.) But today's episode is a duplicate of last weeks. Can you please post the new one? Thanks for all your hours of entertainment. Iâve listened to a lot of after buzz podcasts and this past year have been somewhat disappointed in the panel discussions. But you all are fantastic and bring a lot of insight into the discussions. Just as important, you are excited about the show. You all should handle more of the podcasts, not just for the black-themed shows. Iâd like you to handle Mr. Robot. I wish guys uploaded the show right after the show instead of Monday. Great show! Can I be on the panel?